Recognizing the signs and symptoms of foundation settlement is the first step to protecting the integrity of your home. By utilizing solutions such as piering systems, wall repair systems, polyurethane injection systems (PolyLevel), and more, we have the products, experience, and expertise to fix any foundation problem. 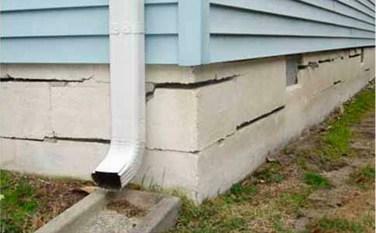 Some homeowners experience the symptoms of foundation structural issues but are unsure as to what the problem actually is, or of the problem's larger implications. Recognizing the signs and symptoms of foundation settlement is the first step to protecting the integrity of your home. 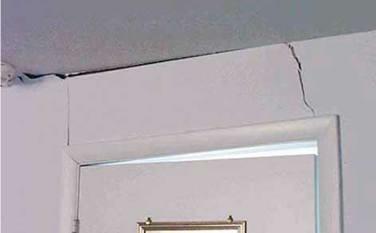 Cracked Drywall Cracks appearing around door frames, in the ceiling, in corners, and along the wall indicate your foundation is in trouble. These cracks often mean that the soil your house is built on is shifting, creating house settling and causing foundation problems. 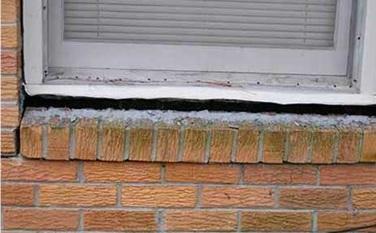 Window Gaps & Cracks This is a sign of foundation settlement, due to the soil shifting underneath your home's foundation. Shifting soil happens when soil has either absorbed water and expanded, dried out and shrunken, or an inadequate soil practice was used when preparing your home's foundation. 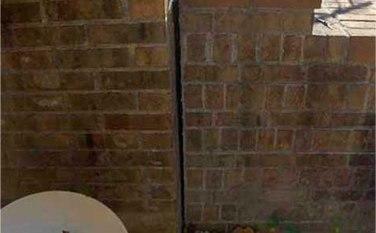 Stair-Step Basement Wall Cracks Indicate your foundation is settling. 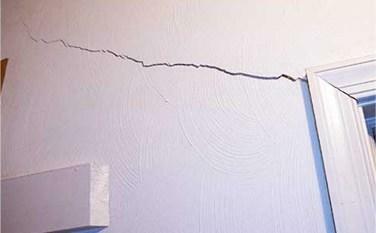 Nine times out of ten, these cracks continue to grow, becoming more expensive to repair and causing you more stress. 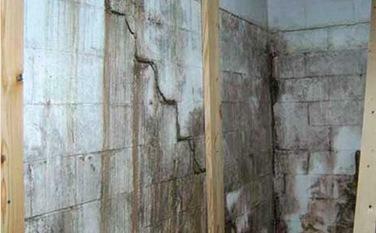 When in doubt have a foundation repair contractor come out for a free inspection. Drought: During prolonged dry periods, the soil around your home may begin to dry out. As clay soil dry out, they will shrink considerably. When this happens under a foundation, it's the same as the soil settling. 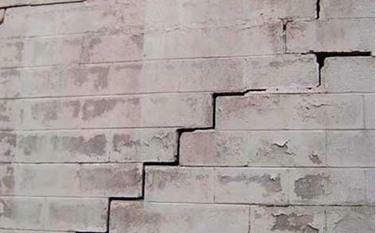 Your foundation will settle downwards as it does so, possibly leading to structural damage. Maturing Trees: A mature tree's root system can be up to twice the size of its visible part. If the trees extend over your home, that's a good sign that they're under your house as well. As they draw up hundreds of gallons of water each day, the soil will shrink significantly. Heavy Rain & Flooding: When clay soil contact water, they hold on to it and become very soft. This soft soil is not good load-bearing soil, and heavy objects will sink down into it. Poor Drainage: If water is allowed to "pond" next to the home due to poor soil grading, clogged gutters, or some other factor, the soil will absorb the water. If you have clay soil around the home, then the soil will soften and the home may sink. Plumbing Leaks & Broken Water Lines: Plumbing leaks under or around a home can also saturate the soil around a home, and potentially weaken their load-bearing capacity. To make a level surface where your foundation can be built, builders will sometimes bring in loose soil from another location, using it to fill in hollow or depressed areas. This recently excavated "fill" soil is fluffed, and will be much looser and lighter than the dense, hard-packed virgin soil already present. To compensate, the builder will need to compact the fill soil thoroughly before placing a foundation on top. If this compaction is not done, or is improperly done, then the weight of your home may cause the soil to compress, leading to foundation settlement issues. Can I Fix Foundation Settlement Problems Myself? It's important to find out if your home is experience foundation settlement. TerraFirma offers free, no obligation inspections by our professionally trained System Design Specialists. Call us today at 1-844-311-8051 to schedule an appointment. 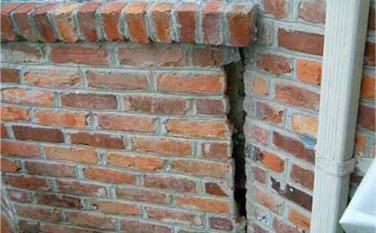 We'll find the source of your foundation problems and provide you with the best solution for your home. We're known best for being better because we only use the best products, and recommend custom solutions designed for your home's foundation repair needs. We want to ensure that your home's foundation problems are fixed for life - giving you the peace of mind knowing that your home's foundation is safe and strong. 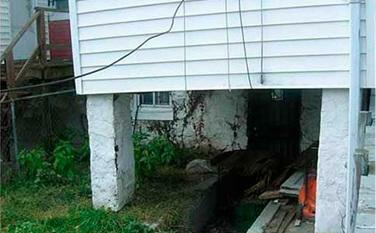 Some of the foundation repair solutions we recommend include TerraFirma's helical piers, push piers, and slab piers. 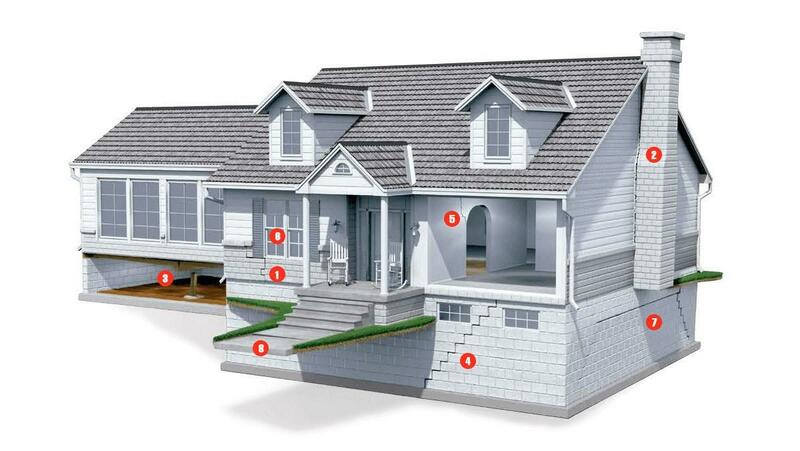 Everyone's foundation repair needs are different based on several factors including the ground your home is built on, type of foundation, and the severity of the problem. Our professional foundation repair experts will work with you every step of the way to find and design the best foundation repair solution for your home.